Thanks for visiting 704 Revovations.com. To get started, simply call us at 704-604-3366 or send us an email. If possible, we ask that you fill out our client information form, and submit it online. You can also print it out and have it ready for our first visit. After we receive your form and review it, we will call you within 24 hours to chat about your project, and schedule a time to visit your home. This form can help us identify all the facets of your project and help you understand what is involved in making it happen. 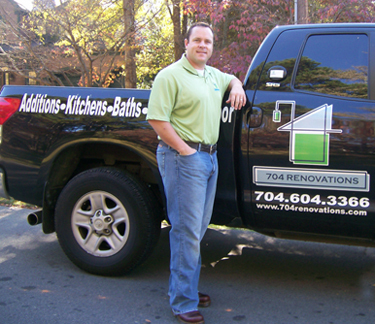 We look forward to meeting you and appreciate you considering 704 Renovations for your next project.